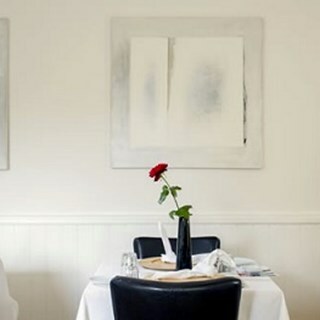 Experience the finest of North Devon's produce at Broomhill’s Terra Madre restaurant near Barnstaple. Give your taste buds a serious treat with delicious home-made Mediterranean inspired cuisine. Our passion for good, clean, fair food is evident throughout our dishes, from our homemade fresh sourdough bread, cakes and biscuits to home-cured artisan chorizo and salamis, we offer an array of delicious, authentically produced organic and home-made treats for visitors to sink their teeth into! Delicious lunch in very pleasant surroundings. Excellent value for money, even though I was unable to finish the huge portions! Great service and value. We love the variety of textures and flavours of the food. We are never disappointed. A fantastic place to visit. What a wonderful overall experience. The staff were very welcoming and efficient. The tapas was excellent with a good range of choice and generous portions which were excellent value for money. And a wander in the garden admiring the sculptures really topped off the outing which was very special indeed. Thank you! Just brilliant! We had a lovely lunch. Staff were very attentive and food was clearly made and presented with real care and attention. Lovely atmosphere, lovely food. We'll be back. Thank you! My daughters treated me to a birthday celebration. We had a delicious meal on Saturday evening. Everything great including the non intrusive jazzy background music. The most amazingly example of perfect service was that our table server remembered that I have a certain weird food allergy and had already marked on the menu meals I could safely order. How good was that! Can’t wait for our next visit. Very relaxed but professional service with high quality, imaginative food. We were impressed that the waitress was willing and able to answer questions about ingredients. 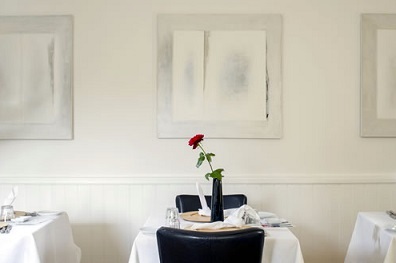 Terra Madre is our favourite dining location in and around Ilfracombe. That is really saying something as the competition is excellent. The menu is very imaginative and satisfying, appealing to both conservative and adventurous tastes - the 'slow food' ethos is distinctive and effective. All this complemented by ambience and service to match; genuinely friendly and attentive - e.g. to advice when my wife noted her vinegar aversion. Just goes to show what a small number of staff can do when they are at the top of their game. If I had one bit of fine tuning advice it would be to be slightly more restrained in the salt content of the main course. Food was excellent as usual and the new restaurant is very nice. The quantities are too large for us to finish three courses. Our only negative was that I found the tagine too salty. Amazing fresh food in a beautiful setting - a real gem! Lovely food generally altho I didn't really like the creamed leeks with the turkey that I had. They were sort of curry flavoured, not what I was expecting and I would probably have chosen something else had I known. But it was innovative to provide a turkey dish that was not just a normal roast dinner. Staff are wonderful, great relaxed atmosphere and the food is simply divine....in our opinion it’s the absolute best in the area and fantastic value for money. Absolutely fantastic. We love visiting Broomhill, everything about the place is fantastic. Definitely see you again soon. Another wonderful meal at Broomhill! We have had many special occasions at the restaurant with friends or by ourselves. We love the relaxed atmosphere. Looking forward to another visit in the new year. Each time we visit Broomhill we wonder why we don't do so more frequently. The food, service and value for money are simply excellent. On balance we did prefer the old dining room arrangement but the changes are more than acceptable and we will certainly come again. Great menu selection and the team were very helpful with choices for a member of our group who is unable to eat dairy, choc or orange. Our lunch with you was to celebrate my wife's birthday. we were both very happy with every aspect of our visit. The food was excellent; a perfect balance of fine dining and enough to eat. we were made very welcome from the moment of our arrival and the atmosphere was happy and friendly. We hope to find something else to celebrate soon. Thank you to all the staff.